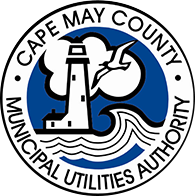 Subscribe to the Cape May County Municipal Utilities Authority email lists to receive bid and/or RFQ notifications delivered directly to your inbox. Click on a bid and click "Sign Up" to create an account. Once you are logged in, click on Subscriptions & Notifications. Select the bid categories for which you would like to receive notifications. Click Submit at the bottom of the screen once you have made your selections. Once our Purchasing Department is able to verify your credentials, you will receive an email confirmation of your subscription(s).